Sahara India group today ends Team India's sponsorship and all ties with Board of Control for Cricket in India (BCCI); this means it has withdrawn its sponsorship of the Indian cricket team and has pulled out its Pune Warriors team from the Indian Premier League. The immediate trigger for Sahara's emotional pull-out, on the morning of the auction, is that their only marquee player in the Pune Warriors, Yuvraj Singh, is indisposed and the BCCI has turned down Sahara's request that his price be added to their purse today to allow them to replace him for season 5. A miffed Sahara has requested the BCCI to pass on the Pune Warriors team to any other interested party Immediately. 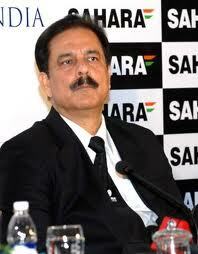 Sahara was paying Rs 3.34 crore per Test match, one-day international and Twenty20 International under the new terms. "...after an 11-year journey as sponsors, we can say with surety that cricket has become very rich. Many rich people are there to support cricket with a strong will to do so. So, with absolute peace of mind we can exit from cricket under BCCI and are exiting with a heavy heart," Sahara India said in a statement. "It was an emotional decision for us to start this sponsorship but our emotions were never appreciated and many genuine situations were not given due consideration at all," the statement read. Sahara, which entered the cash-rich IPL bandwagon last year along with the now-disbanded Kochi Tuskers Kerala, complained that several requests put forth by it with regards to players and the number of matches were not accepted by the BCCI.